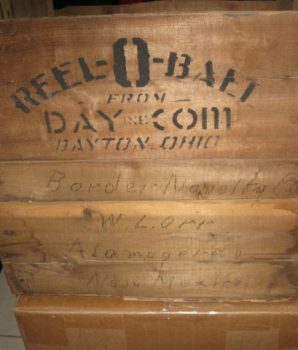 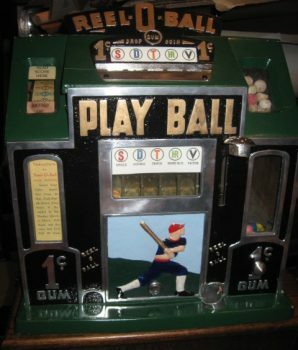 1930’s Reel-O-Ball Baseball gambling machine. 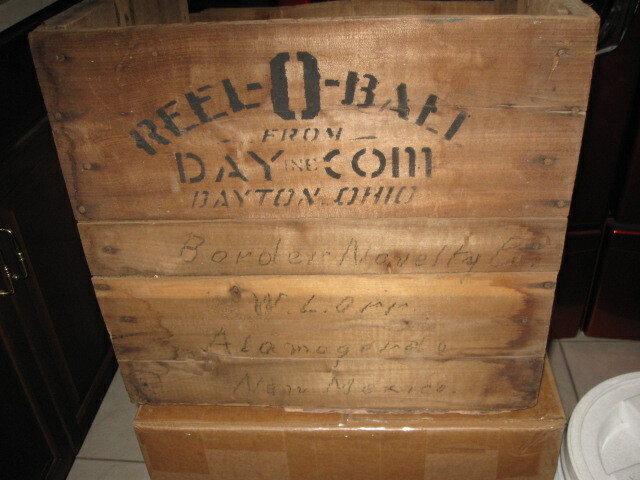 Very Rare and one of less than a half-dozen known examples. 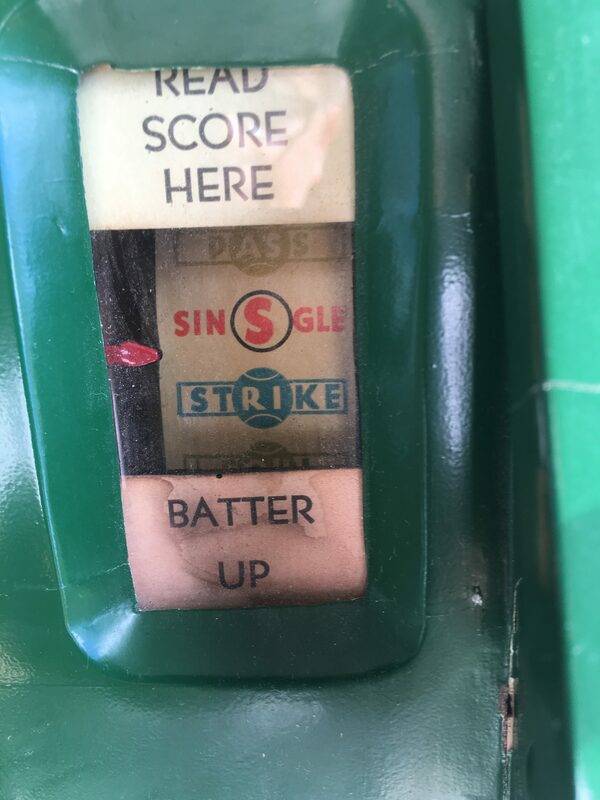 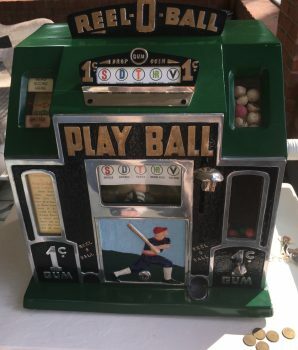 This incredible baseball penny slot machine from the early 1930’s is in perfect working order with truly exquisite eye appeal. 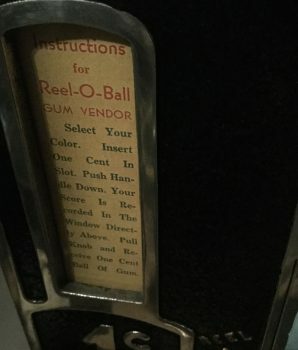 Insert 1¢ penny into one of the colored slots above (S, D, T, HR, V), pull down the ball handle, receive a candy gumball, and watch your fortune spin along the top left rotary-style wheel. 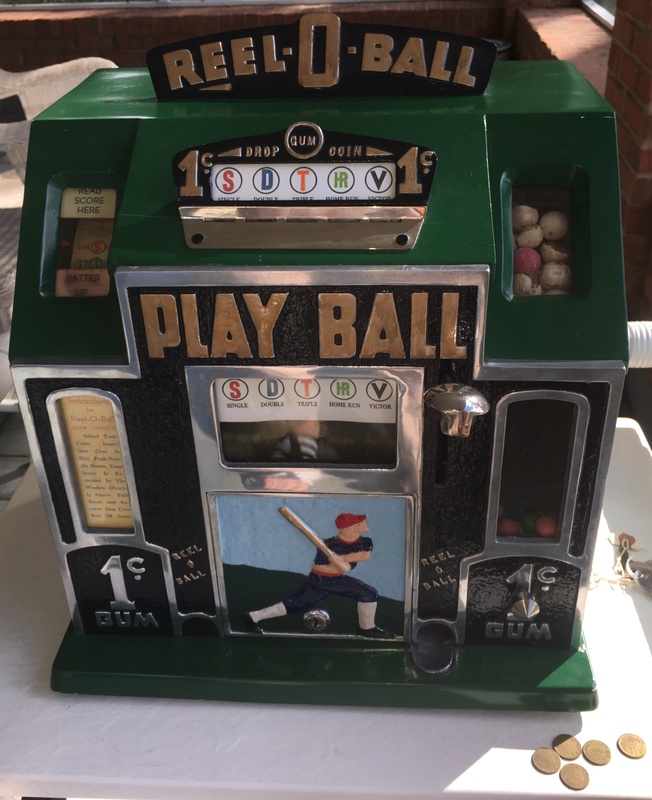 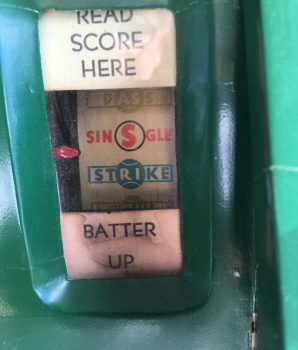 Single, double, strike, ball and home run are all possible outcomes.For particularly impressive spins, the machine rings an interior bell and pays out a token that once upon a time could have been redeemed at the proprietor’s counter for a prize. 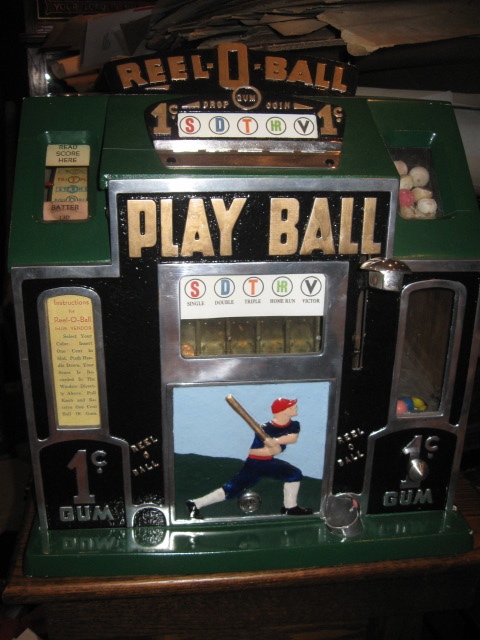 And if the mere pleasure of chance was not incentive enough to play, each penny also when inserted with pull of the handle dispenses a rainbow gumball. 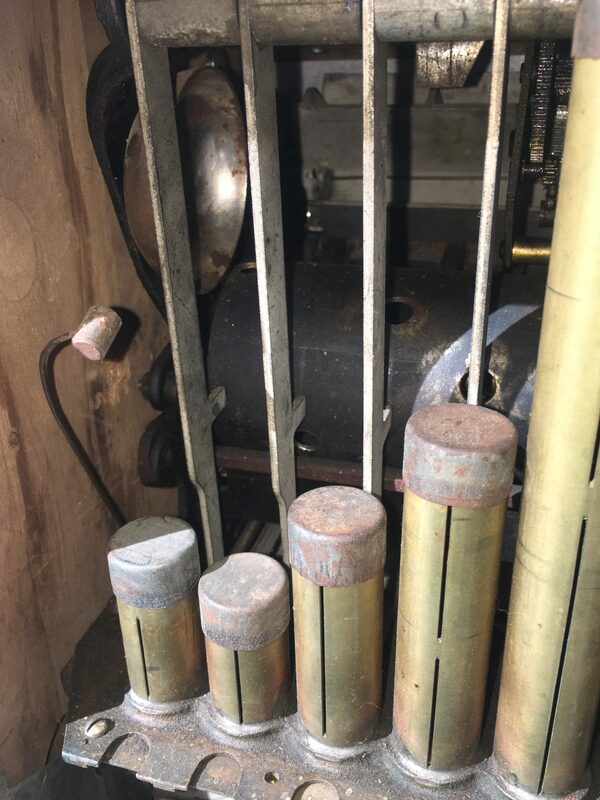 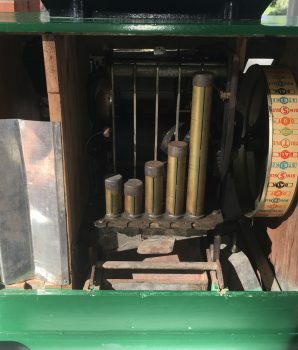 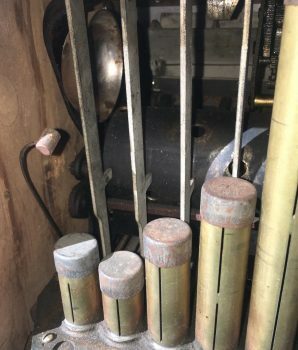 On specific (special) plays an internal bell rings and the machine dispenses a redeemable token (slightly larger than a penny- four rare copper tokens included). 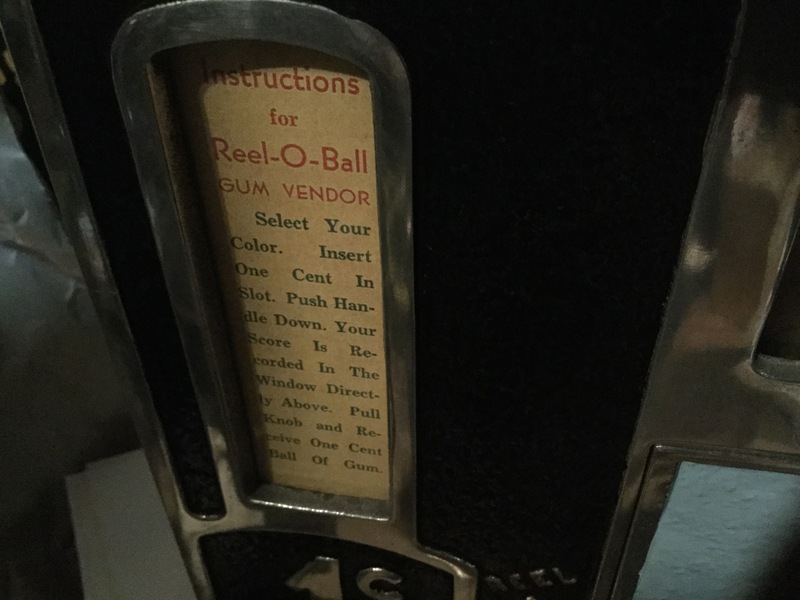 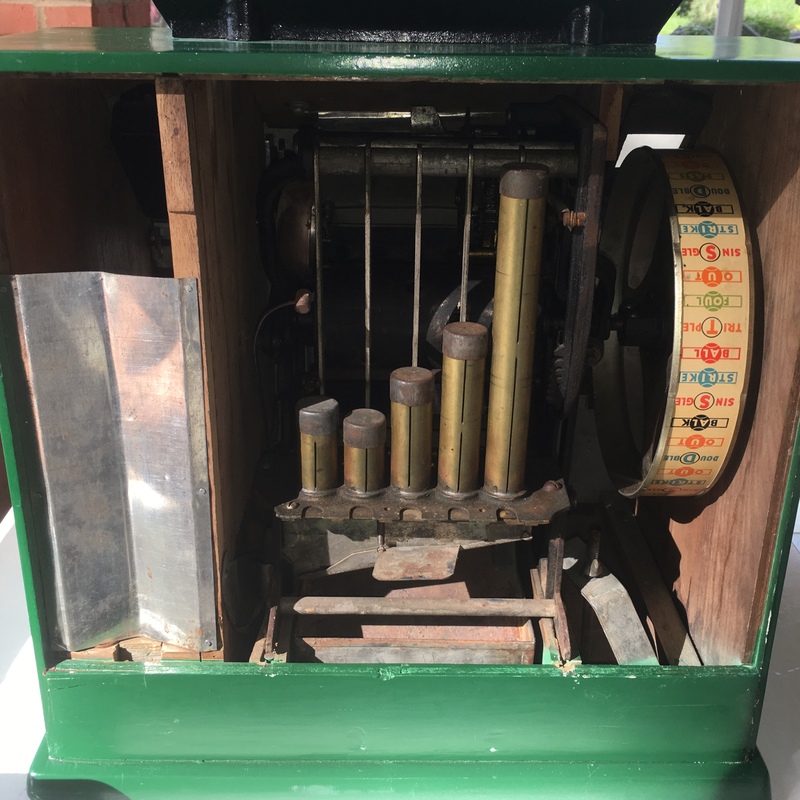 The dimensions of machine: 18 “ Tall x 16 in W x 13-½” D and Weighs 41 lbs., the machine works, comes with working lock and keys. 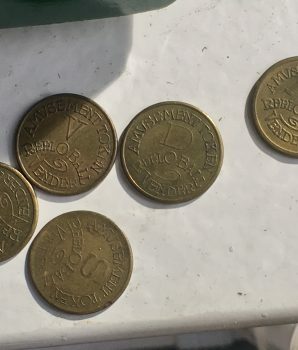 Für mehrere Artikel bietet Gameroom anzeigen eine kombinierte Rate Versandkosten zu reduzieren. 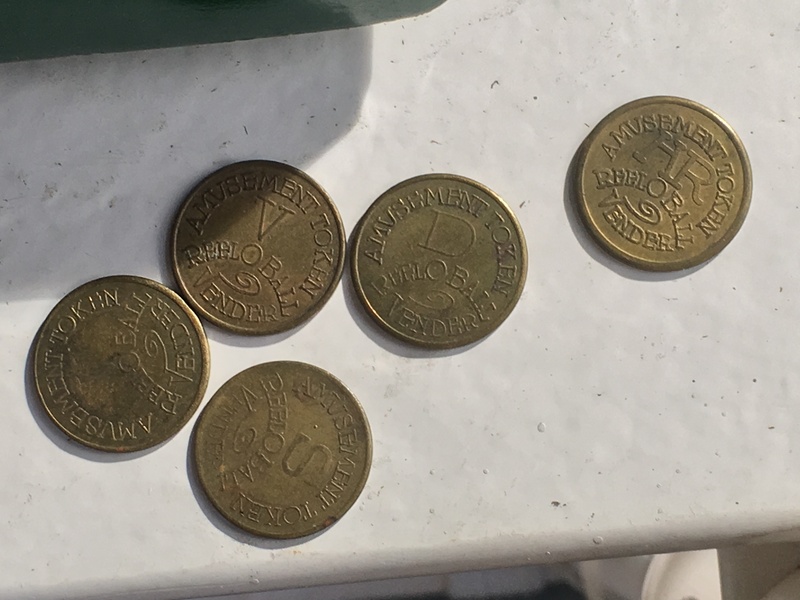 Zögern Sie nicht uns zu kontaktieren, wenn Sie weitere Informationen über unsere antiken Sammlerstücke zu verkaufen möchten.